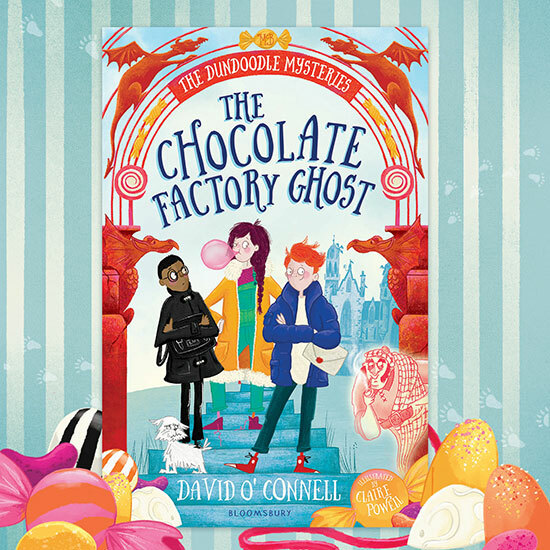 I absolutely loved The Chocolate Factory Ghost, this first book in The Dundoodle Mysteries series, written by David O'Connell and illustrated by Claire Powell, published by Bloomsbury UK. David and Claire weave a web of magic around an old Scottish mansion that young Archie McBudge discovers he’s inherited, along with his uncle’s confectionary company. 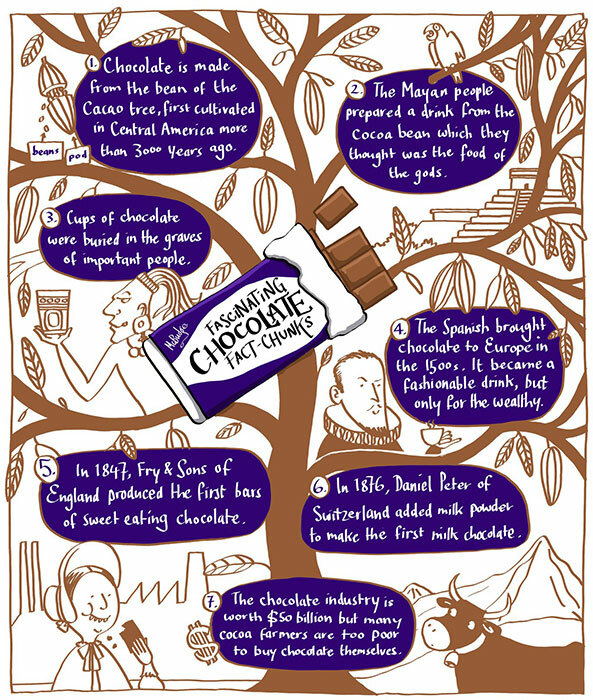 But the McBudge family is wreathed in secrets, and all is not well with the business; a key mystery ingredient to the famous McBudge fudge is missing. Unless Archie can find it, he’ll have to sell out to his relative, the menacing Mrs Puddingham-Pye, with her nefarious, porcine little twins. The story flits back and forth from wondrous to sinister, as Archie and his new friends Fliss and Billy explore the magical house, and try to solve puzzles Uncle McFudge has planted, shadowed by others who would like to find the same prize. David O’Connell has a wonderful way with words. His choice of names, in particular, made me smile: the nearby town of Invertinkle, Billy MacCrabbie who insists on being called Billy ‘Macabre’ because it sounds more enigmatic, the Beast of Glen Bogie, and a fudge estate butler named Tablet. 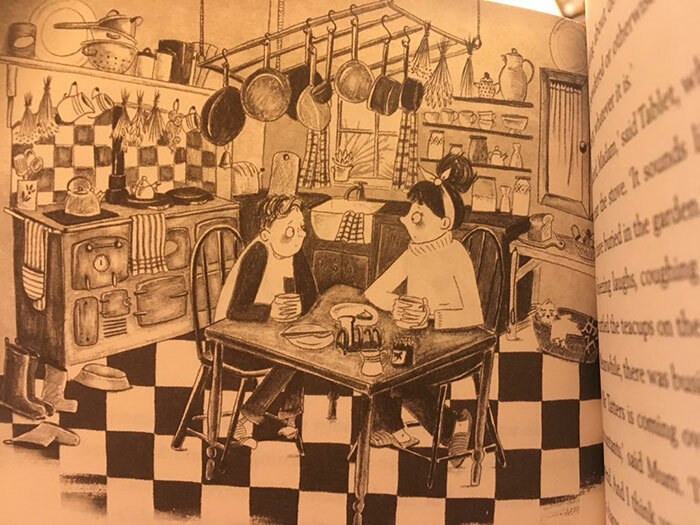 When they find one of the clues, Billy surmises that ‘It could be the mystical hammer of Throb, the god of headaches and family holidays… Legend has it that he lives on the top of Bed Doodle, along with Frij, the goddess of damp clothes, midges and leaky tents’. 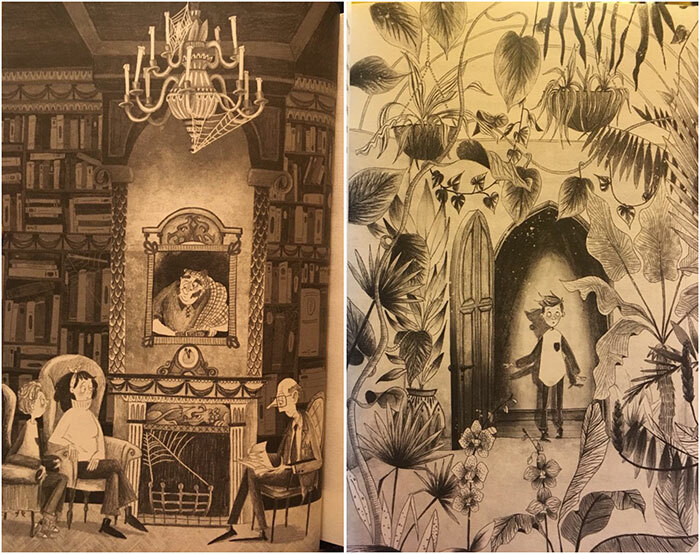 I love the atmosphere he sets in the old house; it takes me back to cosy times curled up with The Secret Garden by Frances Hodgson Burnett, reading about Mary Lennox trying the various doors at Misselthwaite Manor. Claire Powell infuses the story with beautiful patterns of dusty old books, Victorian tiles, gargoyles, bumpy cobblestones, wobbly bricks, uneven ironwork and mystifying machinery. Turning to each page with one of her full illustrations is like discovering treasure. Reluctant readers will find themselves propelled from picture to picture, and fans of illustration will want to keep an eye on this exciting talent. 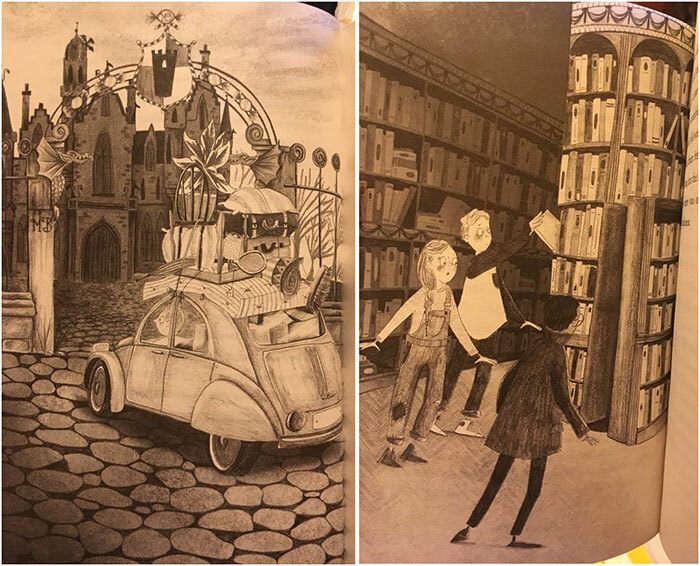 David is also an excellent illustrator (and has illustrated other people's writing), so it's fascinating to see what happens when he focuses on the writing side and lets someone else imagine the visual elements of the story. I can’t wait to see what David and Claire get up to in their second story in this misty, magical Scottish landscape. Buy your copy from a local independent bookshop (best option - you can search for your local indie here! ), or from Foyles, Waterstones, Guardian bookshop, Amazon, etc. (It launches on 5 April, but pre-orders are incredibly helpful for boosting book sales chart rankings and encouraging shops to stock it.) And you can sign up for updates on the Dundoodle Mysteries here, and follow David on Twitter at @davidoconnell and Claire at @misspowellpeeps.